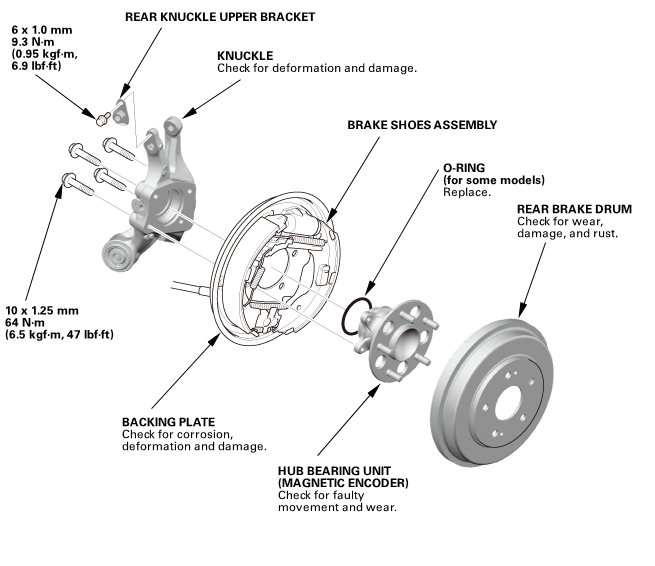 Frequent inhalation of brake shoe dust, regardless of material composition, could be hazardous to your health. 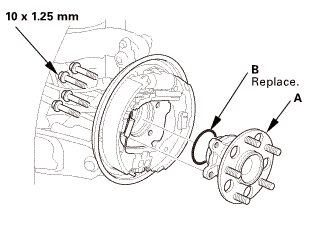 Remove the brake drum (A). 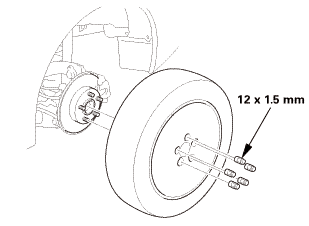 If necessary, turn the adjuster bolt (B) with a flat-tip screwdriver until the shoes become loose. 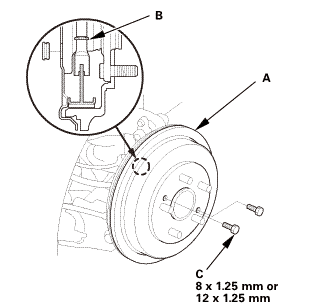 If the brake drum is stuck to the hub bearing unit, thread two 8 x 1.25 mm or 12 x 1.25 mm bolts (C) into the brake drum to push it away from the hub bearing unit. Turn each bolt 90 degrees at a time to prevent the brake drum from binding. 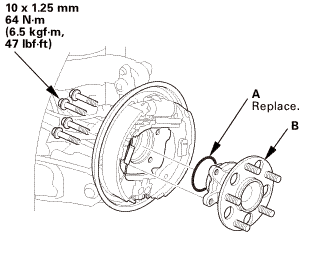 Install the brake drum (A). 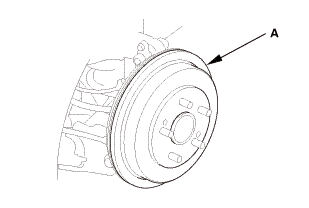 Before installing the brake drum, clean the mating surfaces between the hub bearing unit and the inside of the brake drum. 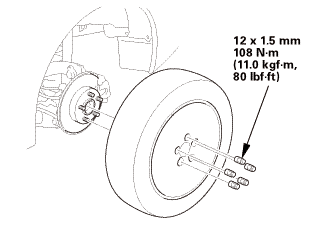 After installation, press the brake pedal several times to make sure the brakes work and self adjust the brake shoes. Do not drive the vehicle before doing this procedure.